WAN IP Address. LAN IP Address. What's the Difference? Why Is My WAN IP Different from My LAN IP? What do you mean I have two IP addresses? One day, as you're poking around your computer's networking preferences or maybe hooking up a new router, you might suddenly become aware of an interesting bit of information. There are two different IP addresses involved with you're getting online and connected to the world. There's the one you see when you go to "WhatIsMyIPaddress.com." But there's another one that's always actively in play every time you're online. A public one and a private one. (stick with this one!). Your WAN (wide-area network) IP address and your LAN (local-area network) IP address. Ok, that just got more technical. The two work together as a team. Both IPs are needed to so that when you go to Amazon.com, the Internet knows to send the information you request back to your computer and not someone else's (including not someone else in your home, using the same network). Your router "asks" and receives an external IP address from your Internet Service Provider (Comcast, Verizon, etc.). 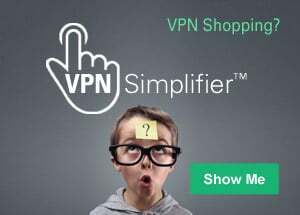 This external IP address identifies your computer to the Internet. If there are two computers connected to your home router, each computer will show the same public IP address, but each has its own internal IP address. That's why you get your own email and not anyone else's—your router knows who made the request and who gets the reply. The public (external) IP address. When most anyone talks about an IP address in general, the public one is the one they're referring to. It's also the most important one in your daily life: Your public IP address—every other network and computer in the world will know your computer by when you're actively on the Internet. Right now, your public IP address is 184.73.14.222. Typically, it is a series of four sets of digits that are separated by three "dots" or periods. This format is called the IPv4 IP address format. You should know that your IP address will change if you have a laptop and go online in different places (hotels, coffeehouses, airports, etc.). You can learn how to change your IP address here. NOTE: If your public IP address right now is a lot longer and has more than three dots, don't be concerned. That simply means your public IP address is of the new variety called IPv6. You can read more about IPv6 in our Learning Center. The private (internal) IP address. The second or other IP address in play is your internal IP address. It's generated by your router (which connects your computer to the Internet.) Your internal (or computer's) IP address is the one your router knows your computer by. Again, it will look something like this: 192.168.1.100. There's no way to find your internal IP address on the Internet. You must peer into your computer's own networking system. It's not that difficult to do and IT people and tech-types do it all the time. Take the following steps using Command Prompt: Start -> All Programs -> Accessories -> Command Prompt. Or you can type the Windows Key +R, type CMD and click OK. When you get to the Command Prompt window, type ipconfig followed by Enter. Your internal IP address will look like this: "IPv4 address...192.168.1.100." It's a little more straight forward on a Mac. Find the system preferences icon on the loading dock (or in Applications). You'll see your IPv4 Address. You'll also see the IP address listed for the Router. When people worry about their IP address and want to know if they can hide it, they're always referring to their public IP address, because that's the one that's linked to an Internet Service Provider, which means there's an account with someone's name and address on it. Can you do anything about that? The answer is yes. You can learn more by reading how to hide your IP address.